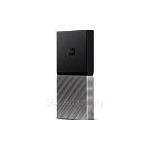 Western Digital My Passport SSD WDBK3E0010 1TB Expert Reviews - Read Reviews and Buy Smarter Online. Verdict: WD's My Passport SSD 1TB USB 3.1 portable drive goes under the spotlight today as we take a close look at its performance numbers. Verdict: The WD Passport SSD is arguably the best in the WD's popular My Passport family of portable drives. The drive is fast, rugged, versatile and features strong encryption as an option. The fact that it works with both Windows and MacOS right out of the box doesn't hurt, either. Neither of my two Thunderbolt2 Macs can see it. Verdict: I don't have a Mac with Thunderbolt 3 aka USB-C so I bought the $50 Tbolt3 to Tbolt2 Mac adapter and hoped for the best. Well, neither of my Mojave Macs can see the damned thing, even with the WD software installed. Perhaps if I spend more money on an official Apple Thunderbolt2 cable it might work. Verdict: got the drive all set up, synched to Onedrive so that it is separate from my C: drive. then I got this "bright" idea to use the utilities. Bad move. As soon as I locked the drive with a password, Onedrive no longer synched. Verdict: Western Digital's My Passport SSD 256GB has a USB-C cable, but comes with an adapter that's backwards compatible, so it can connect to older USB-A machines. It was easy to setup and quickly copied files to create a bootable clone for OS High Sierra. Verdict: This is a super compact and fast external SSD. We use it between an iMac and several windows PCs. Never had any problems with it. Verdict: I bought this drive for two reasons: 1) storage 2) editing projects 1) the storage is fine, no issues there 2) DO NOT EDIT ON THIS, i shoot weddings and do a lot of video work for multiple institutions such as schools and churches. Verdict: I purchased this drive after my recently purchased Seagate external hard drive failed and I lost all of my files on it. I decided to switch to an external SSD for reliably, speed and because I don't need to store extremely large amounts of data. Verdict: It's not a SSD just a plain old rotating drive..